My chair building pace took a toll, I’m just not what I used to be. Once upon a time I could go hard at it with no ill consequences…well, at least no physical consequences, but that is another story. 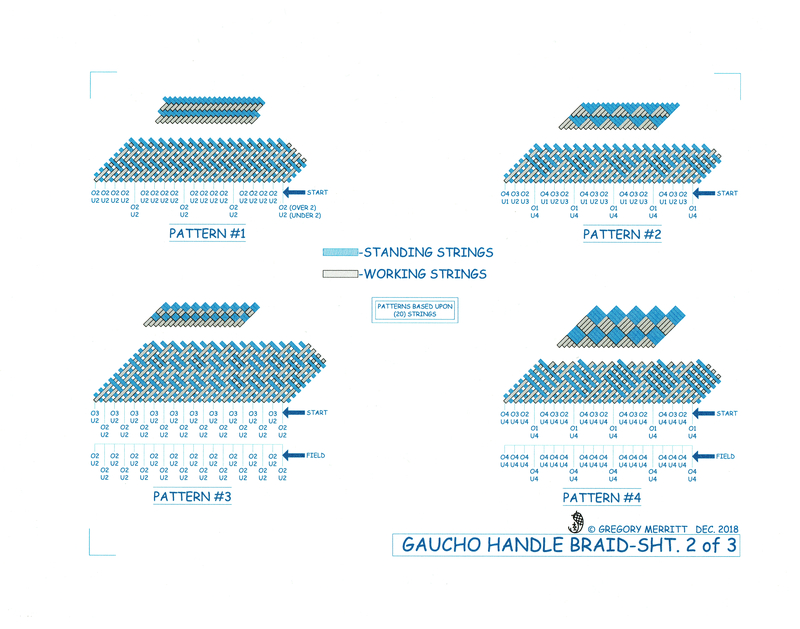 The chair building marathon brought on a bought of tendonitis in my right elbow. After several weeks of taking it easy, I think I’m on the mend. Even though my shop time has been almost nil, I’ve still been making. There is just no way that I can stop. So I turned my attention to one of my other hobbies, knot tying. I started out with some handle work on a couple of knives to give as Christmas presents. This involved a needle hitching technique that I’ve used many times before with a couple of Turkshead knots to dress things up. 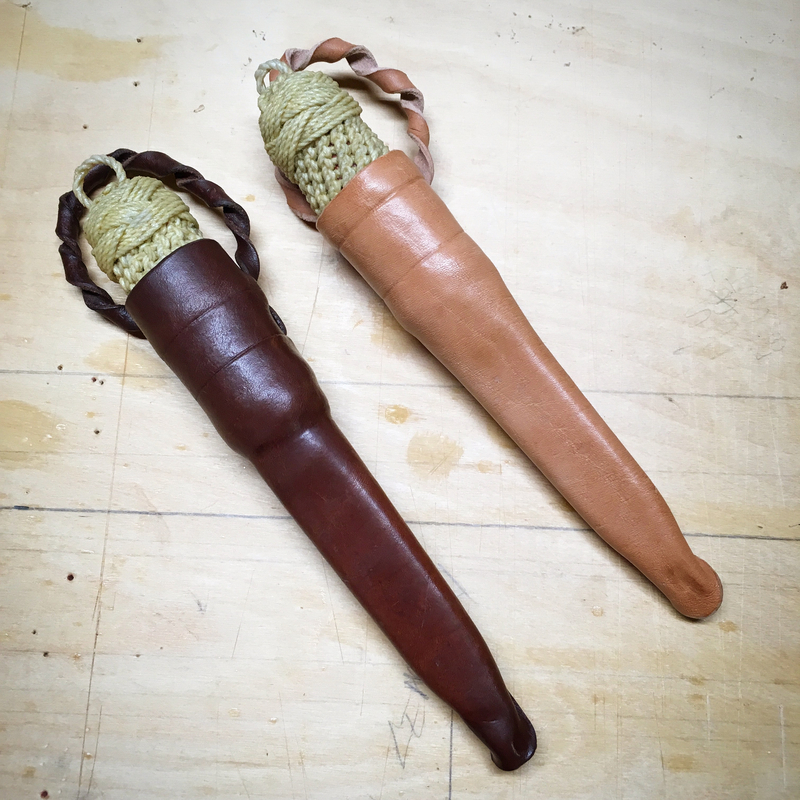 To complete the knife package I made Scandinavian style sheaths for each knife. Nothing fancy. 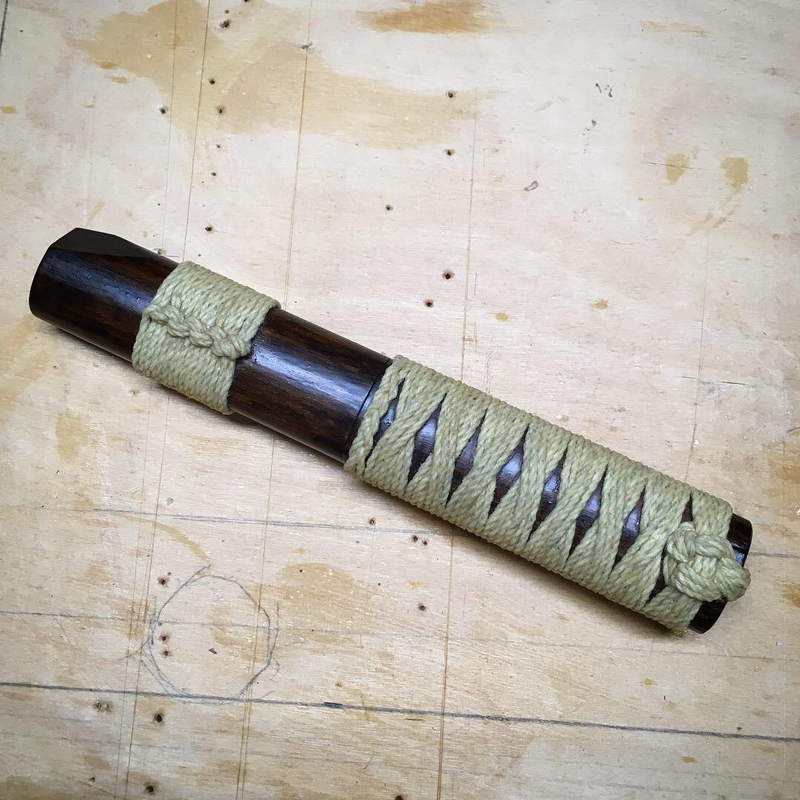 Just solid, basic sheaths. 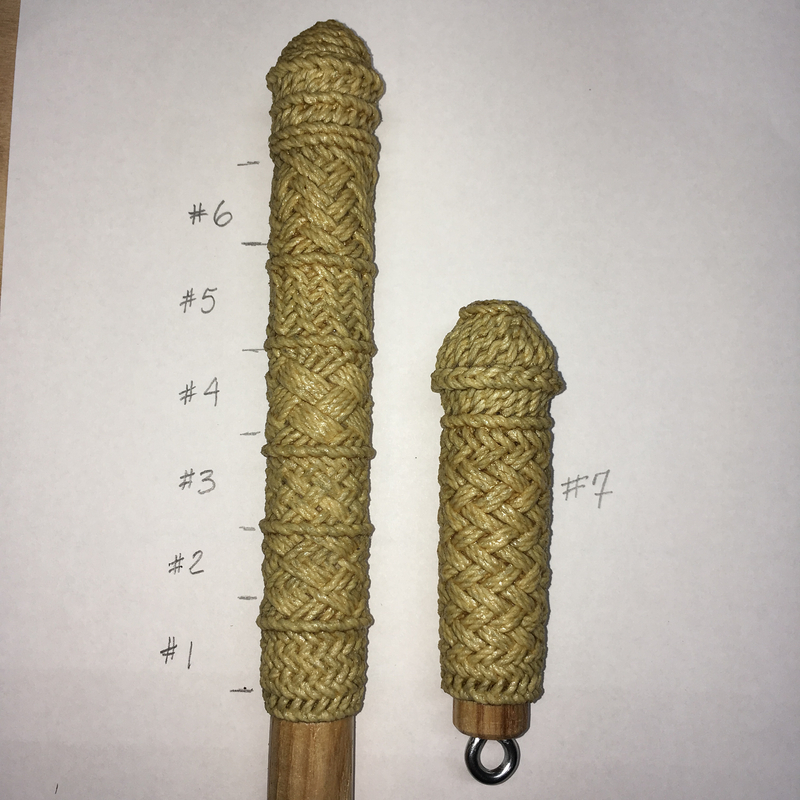 Before and after beeswax infusion shown. With that done I decided to tackle something new that I have been looking at for some time now. 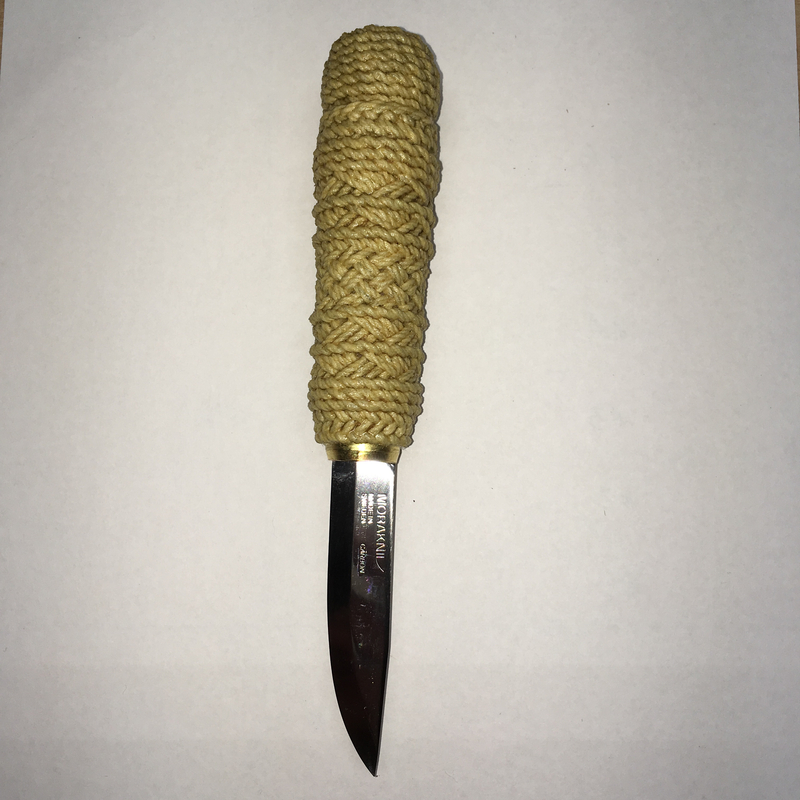 There is an Argentine method of wrapping a knife handle that has fascinated me. They use rawhide strings for the method though and I’m just no ready to go down that rabbit hole. It is surprising what all is involved in working with rawhide. 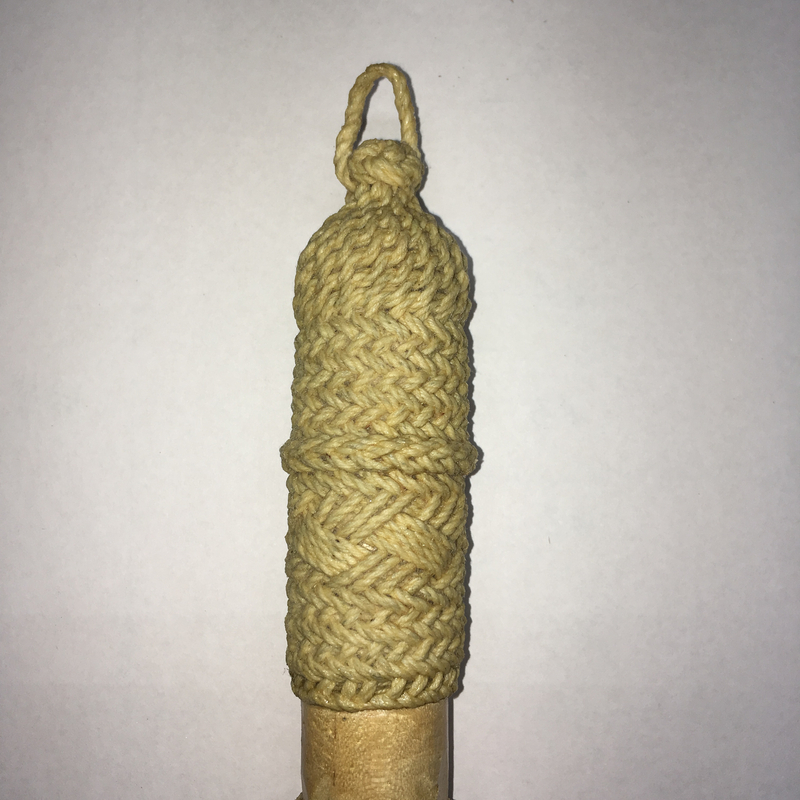 So I set out to see if I could adapt their method to plain, old cotton string. The first hurdle was that I could not find a book or any English language instruction source. I did find a few YouTube videos though. All in Spanish though. So I turned off the sound and watched them over and over again until I got my head around it. Taking notes and scribbling down sketches all the way. Armed with a plan I dug a scrap of dowel out of the off cut bin and had a go at it. Then a bit more practice to confirm my notes. 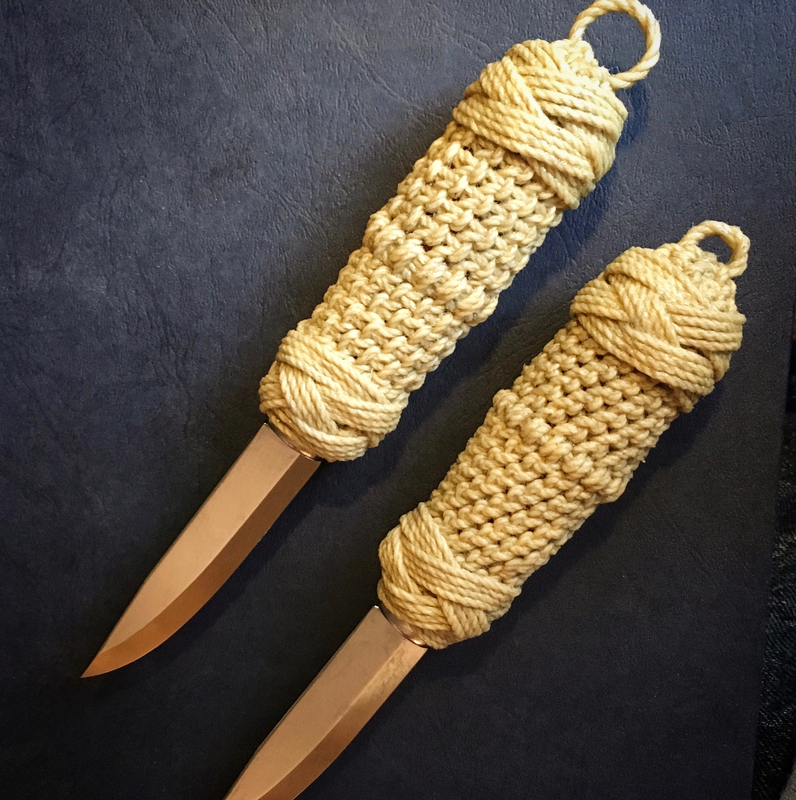 From there I ordered a couple of Mora knife blanks. A standard 2/0 blade and a laminated 120 carving blade. 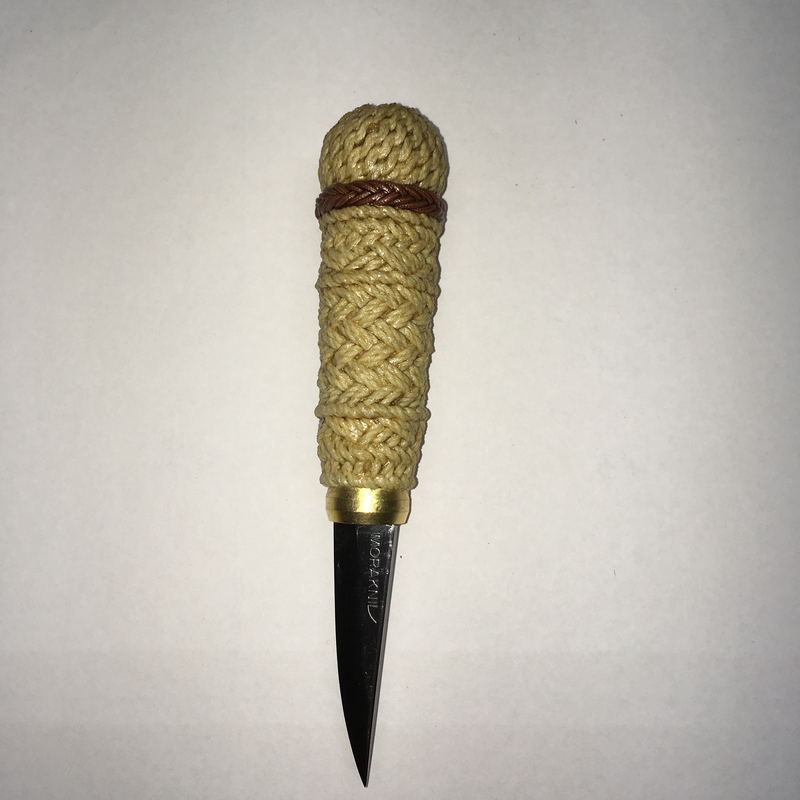 I made handles for each by turning them on the lathe, used a brass compression ring from the plumbing section for a bolster and mounted the blades with two-part epoxy. While I waited for the epoxy to set, I put together a few instructional drawings for the technique and patterns that I had worked out. 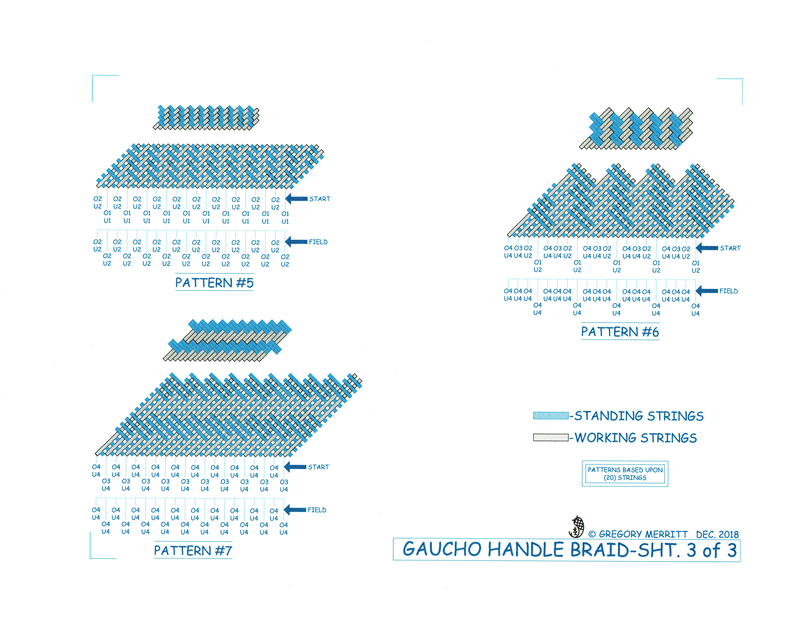 I also worked up a couple of sample pieces that illustrate those patterns. I then completed the handles. The knife handles and the sample pieces were coated with four coats of spar varnish. Spar varnish dries hard and is resistant to water and alcohol. Making it very durable for this application. 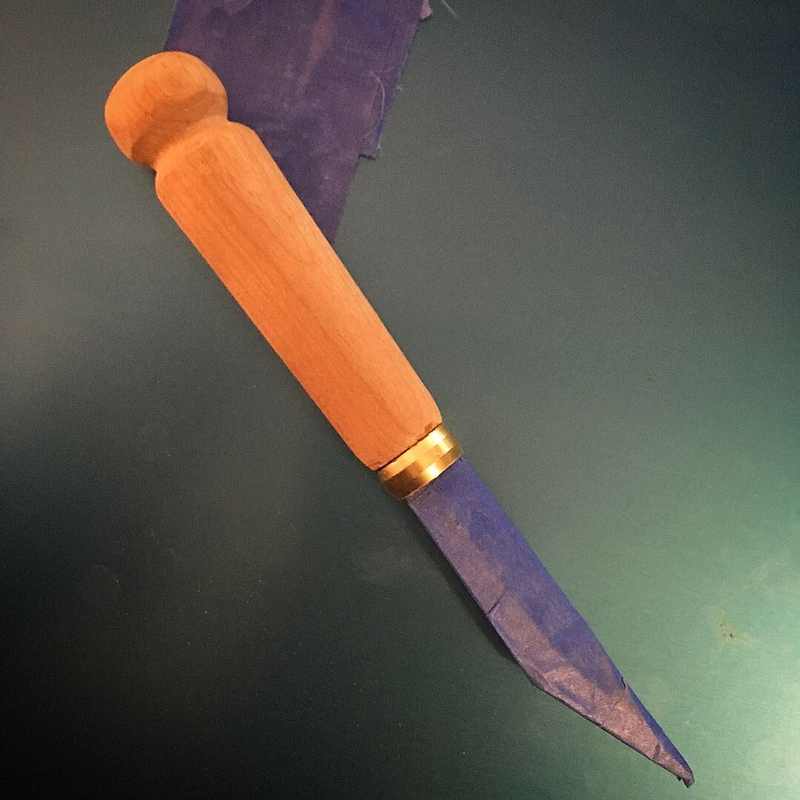 I still need to make sheaths for the knives, but the handles turned out pretty well. 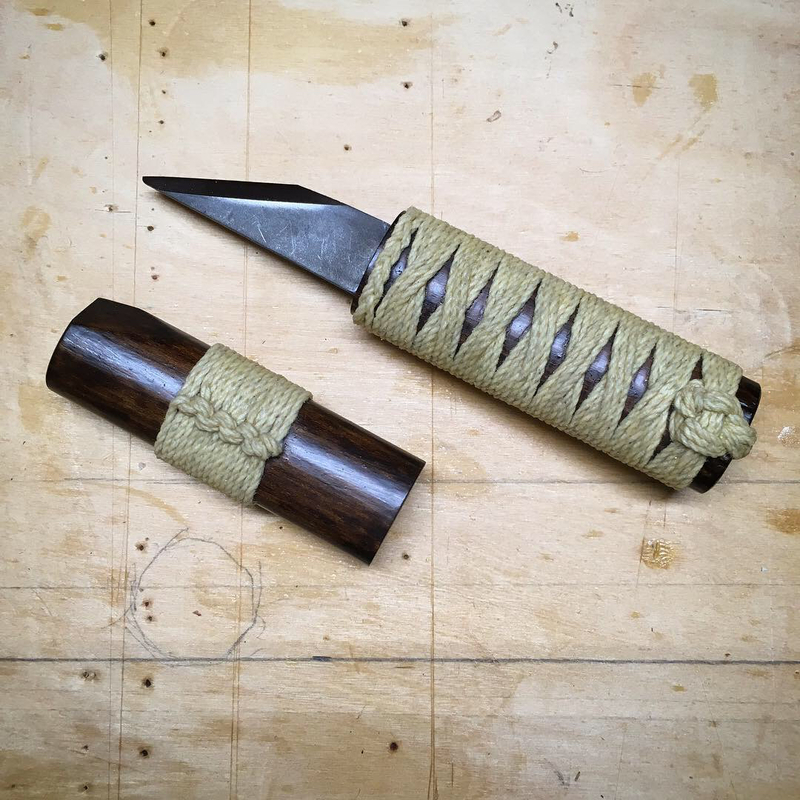 One last experiment in handle wrapping involved a Japanese style, tsukamaki. 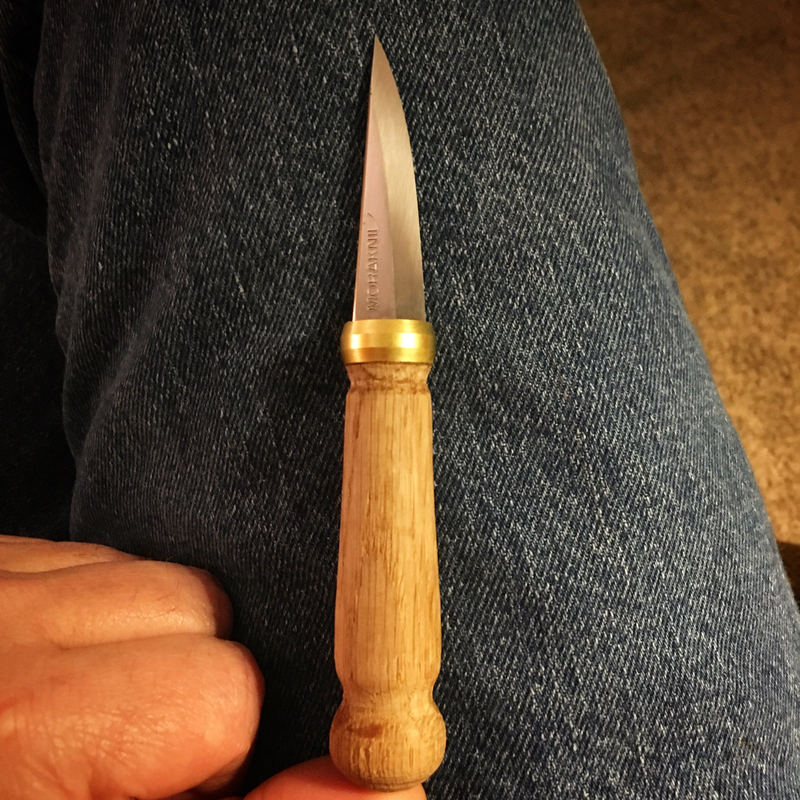 I purchased an inexpensive kiradashi knife that was mounted in a wooden handle with matching wooden sheath. I put the wood burner to it, added the wrap and applied a couple of coats of varnish. 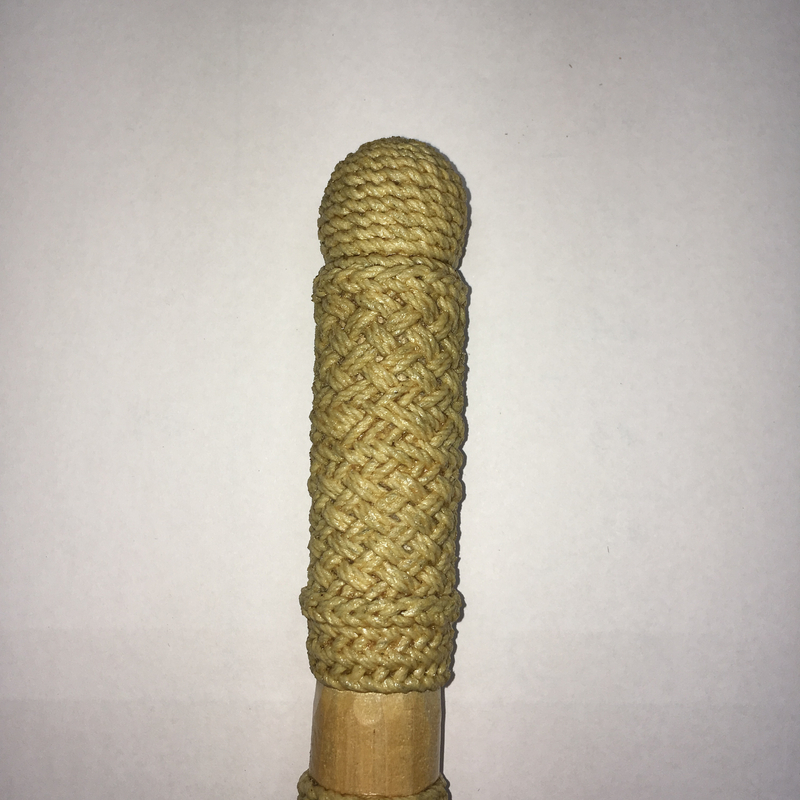 There are quite a few articles and videos to be found on the internet for the tsukamaki technique. So if your interested in giving it a try, just Google it. 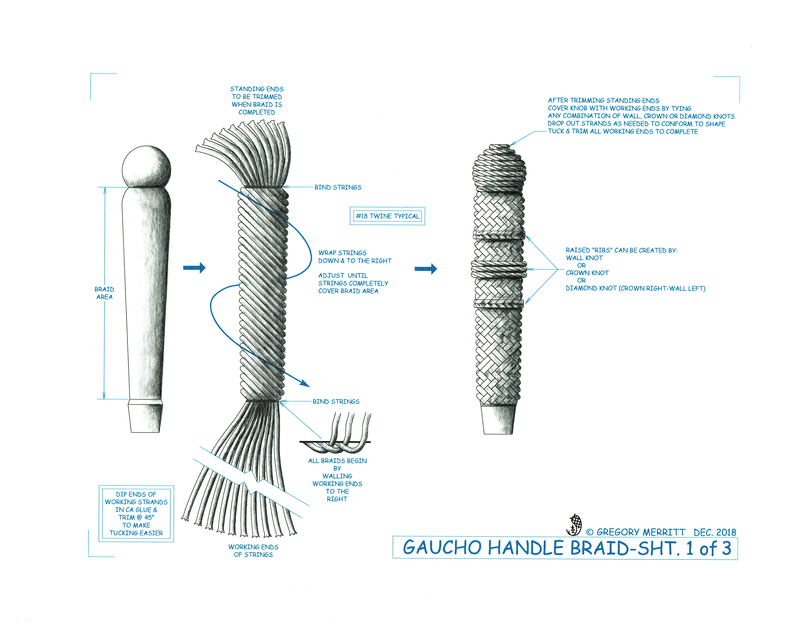 This entry was posted in Gaucho Handle Braid, Knot Tying and tagged gaucho, handle wrap, knife handle, tsukamaki. Bookmark the permalink. That is amazing. Looks pretty hard to do. Thanks Jeff. It’s actually pretty simple, just takes a bit a patience. Thank you for that Greg. I enjoy knotting myself, though I don’t do it much anymore. I used to live on a sailboat and did a lot of frapping, coachwhipping, and other decorative stuff. This gives me incentive to return to doing some (just as soon as my project list thins out a little). Glad to hear that I gave you the nudge to get back into it. Very cool stuff, Greg. Good to see you writing again. Thanks for the great drawings. This work is stunning and beautiful. It looks like you have achieved an invincible gripping surface on the handle. I can’t quite get my hand past the computer screen, though, to experience what they feel like. Do you think you could work comfortably with these for a few minutes to an hour, or are they better suited for a brief task? Glad you like the drawings. The grip feels good in the hand. For most tasks it will be a great addition . Woodcarving for hours on end might present a problem though.